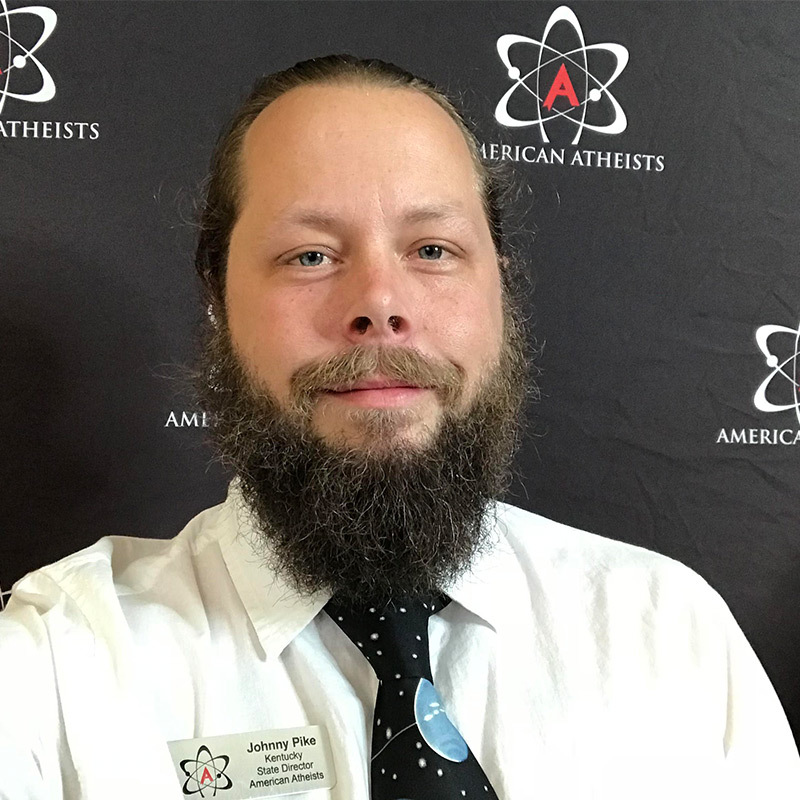 Johnny Pike is the Kentucky State Director for American Atheists. He lives in Lexington, Kentucky and is the Activist Coordinator for The Humanist Forum of Central Kentucky. He is a Purple-Heart veteran and has a degree in Science & Communications.